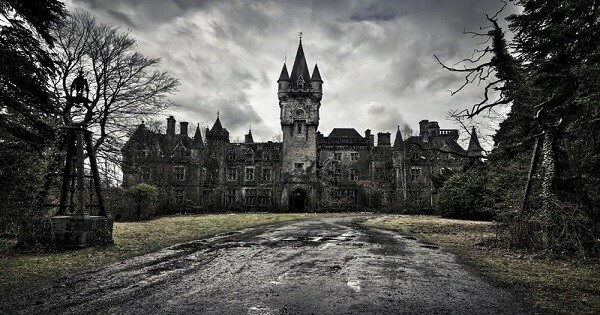 Would You Visit The Most Haunted Place In The World? When you think of haunted places, there's probably a few local or famous places that pop into your mind. Now while many of us have never been anywhere that's really haunted, or that we're aware of, a few of us actually have. Most people believe that that ghosts are real and there's something else after this life, but they still have that doubt in the back of their mind, that questionable thought. Until you really experience something odd for yourself, you probably do have some kind of doubt somewhere within you. We live in a day and age where things have to have solid facts behind them before we believe in them. So for us to believe that a place is haunted is actually hard to believe in if we haven't witnessed it ourselves. But the places in the video we found are a bit different, most of who have been to these places are now believers. These very same people won't go back as well, imagine having gone through something so odd you can't really explain it. There are a very few amount of people that would go back, remember curiosity killed the cat, but satisfaction brought it back! Check out the video below we found by ParaSpirits and let us know what YOU think!